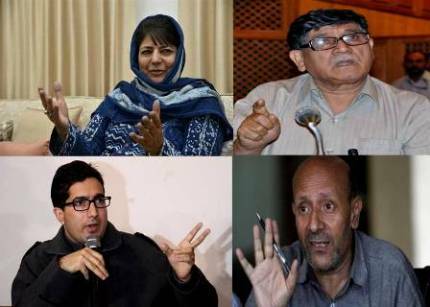 Srinagar: Politics in Kashmir has always been an interesting drama to watch with various political actors changing their roles after each elections. While focusing on 2019 elections, one of the senior minister from the National Conference wants to talk to the militants and the Huriyat Conference if his party comes to power. Repeating her sympathetic rant, former Chief Minister Ms. Mehbooba Mufti has again started visiting the families of slain militants and is advocating bilateral talks, peace and cooperation between the two countries. Known for his fiery remarks, the Ex. Lawmaker Er. 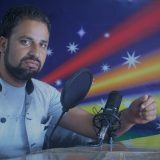 Rasheed goes by what he has been advocating about “The Right To Self Determination”. His policy, yet difficult to decipher is putting a question mark on his policies while in the government. Meanwhile, Shah Faesals’ resignation from civil services and his announcement about formation of a new political party is again a matter of concern with most of the people asking the same question – “Is Shah Faesal going to repeat what previous politicians have done to them”? In the beginning and at the end of the game, it is the mood of the people that is going to decided the fate of 2019 Elections.